UPDATED: Thu., June 28, 2018, 10:45 p.m.
Sen. Patty Murray has introduced a bill in Congress that would prevent Border Patrol agents from conducting warrantless interviews of passengers at Spokane’s downtown Greyhound bus station. Murray joined Sen. Patrick Leahy, D-Vt., in calling to shrink the permissible 100-mile area from the border where agents may question anyone without a court order. The bill would reduce the buffer to 25 miles, which would put the dividing line a few miles north of Bonners Ferry, Idaho, and near Ione in Washington. The law is intended to protect the privacy rights near international borders, Murray said in a statement. It would also prevent the kind of questioning that prompted a tort claim filed last week by the American Civil Liberties Union against the Border Patrol on behalf of a Mexican man who was detained for several hours after being questioned at the intermodal center in downtown Spokane. 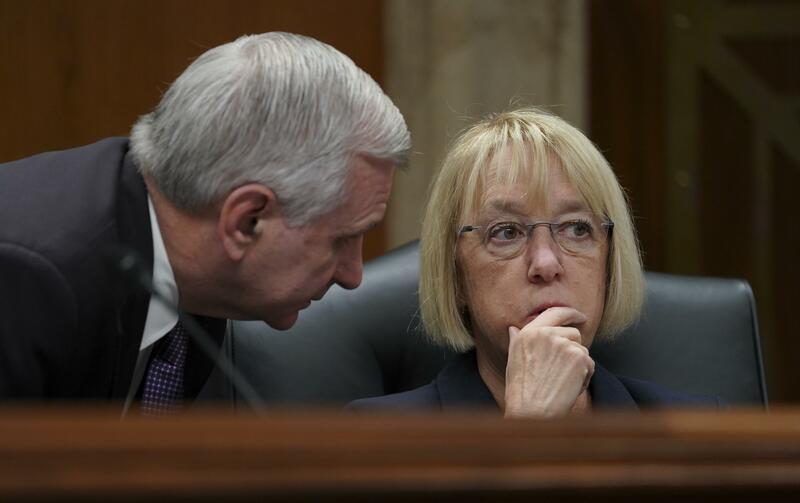 “Simply living or traveling near the border is not a sufficient reason to hassle or detain people in Washington state,” said Murray in a statement on the introduction of the bill. The 100-mile buffer is not detailed in federal immigration law. The law says border agents have authority “within a reasonable distance” from the border, which led to the adoption of a policy that sets the limit at 100 miles. The Murray and Leahy bill would write into the law the 25-mile zone, which would require another act of Congress to change. Published: June 28, 2018, 4:10 p.m. Updated: June 28, 2018, 10:45 p.m.